Whan that Aprille with his shoures soote…. April has arrived! As Chaucer wrote in his Canterbury Tales prologue, with April comes the sweet showers that bathe and strengthen the roots of plants. We’ve had a couple of days of good rains followed by temperatures that seemed warm enough to drag out the lounge chairs and hammocks… but not really. I’ve seen young folks shed layers and prance around in shorts and sleeveless shirts but the old folks like me still wear a layer of two of protection from chill of the “sweete breeth,” or sweet breath of the West Winds. 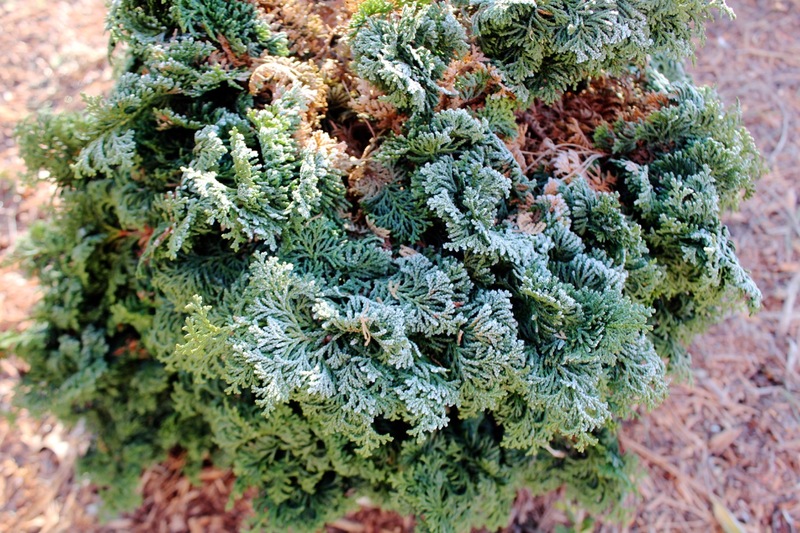 This morning I rolled out of bed with a temperature of 30° and with new frost on the landscape to greet me. 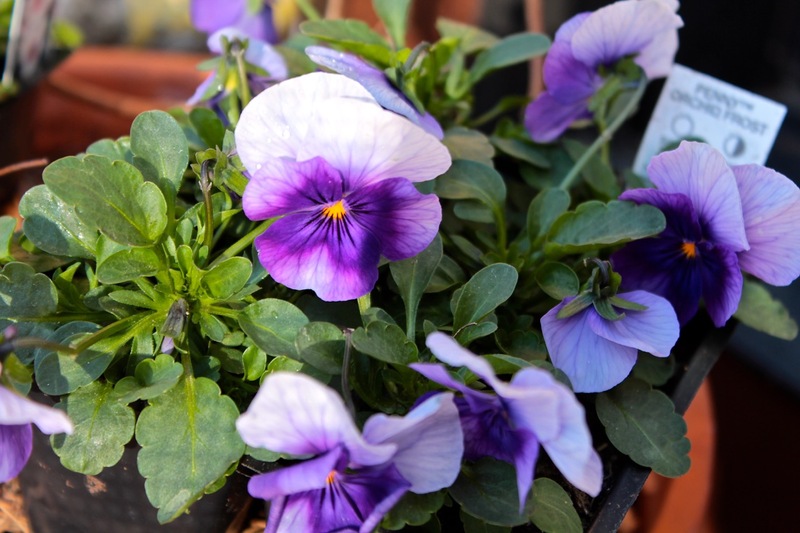 I left my greenhouse pansies outside overnight and, thankfully, they seemed unfazed by the icy temperatures. The snow is retreating and I can finally see most of what survived the record snowfalls and what did not and what was damaged and what can be salvaged. With the ground fairly frozen a few inches beneath the surface, it’s too soon to get down and dirty in the garden but there is a lot I can do now…. like taking care of dead and broken limbs. 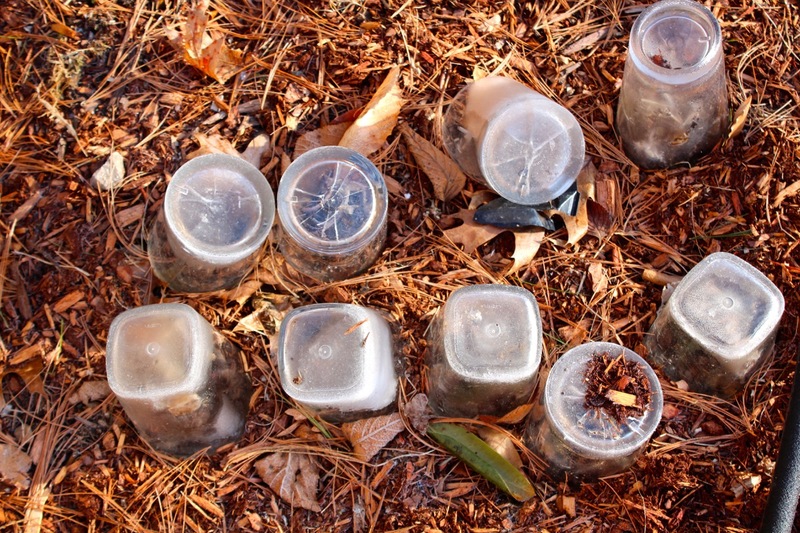 My tiny plants covered by frost covered glasses seemed to do the trick for tiny late season cuttings and plantings. Summersweet, my clethra, mostly laid on the ground during the winter storms. I will need to wade into this thicket and overhaul it…. a shrub that was definitely planted in the wrong location in a prominent foundation spot because it is so darn late to leaf out. But I could never part with the plant because of its insect loving and sweet smelling blooms. 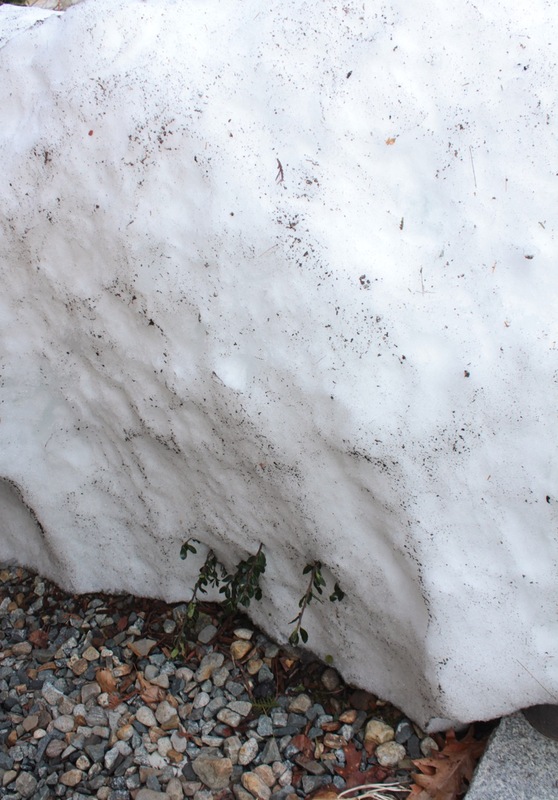 All of my summer rootings of Tide Hill boxwood (Buxus microphylla ‘Tide Hill’) survived beneath 8′ of snow… well-insulated against the cold. 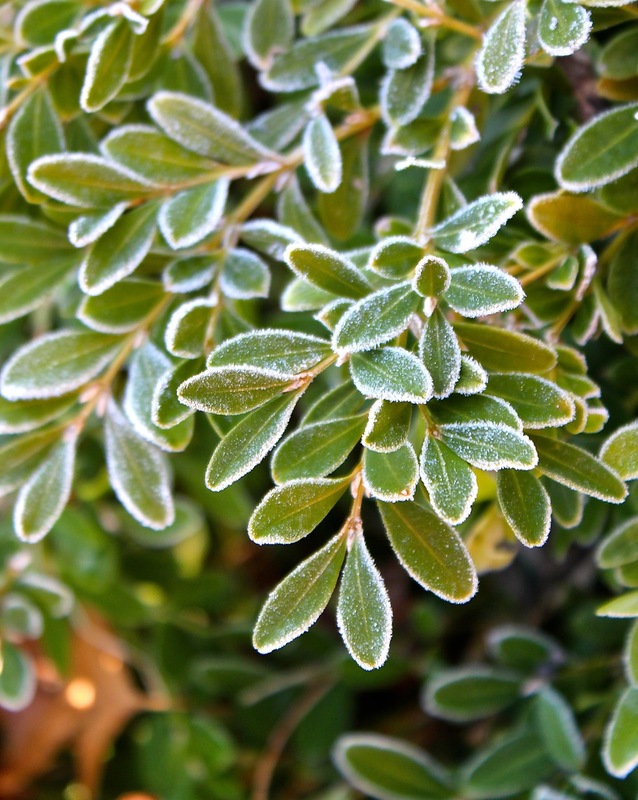 The three parent plants did well, too, although the leaves were chilled this morning with tiny hoar frost. Happy to see that my fall planted Pieris Japonica is greeting the season with zero damage. Not a native, however I love this plant with its drooping clusters of early spring flowers. This is a good foundation plant. Sadly, I found damage and loss. 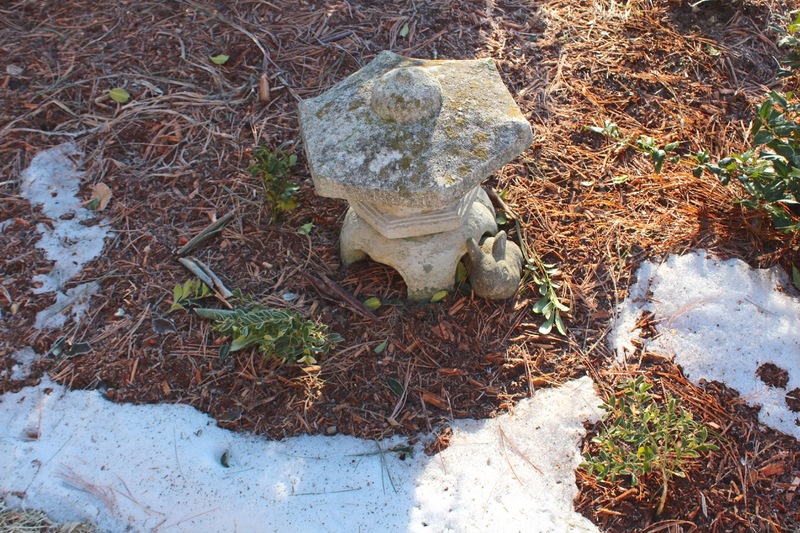 The new Dwarf Hinoki Cypress lost its beautiful fern-like top branches to the weight of the snow. But, whew, this Japanese ornamental can be salvaged. 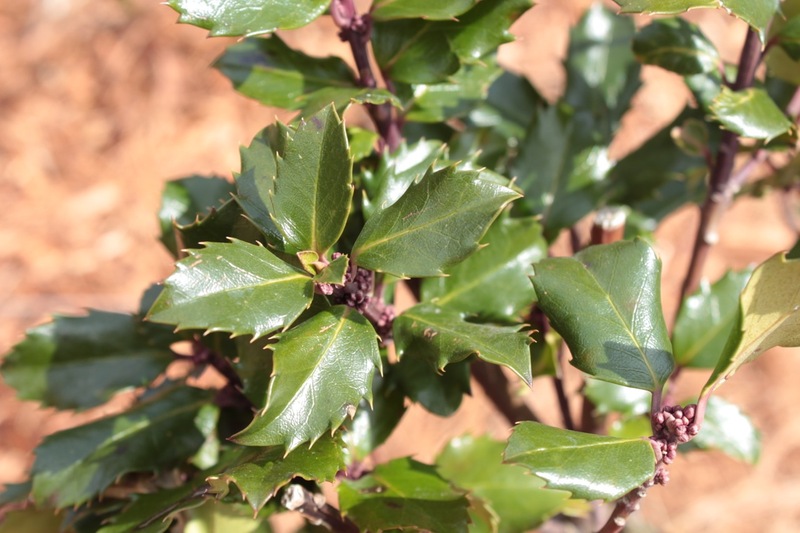 The new 5′ female blue maid holly has some winter burn, but the male blue holly, much smaller, survived intact sheltered beneath the blanket of snow. Azaleas took a hit. 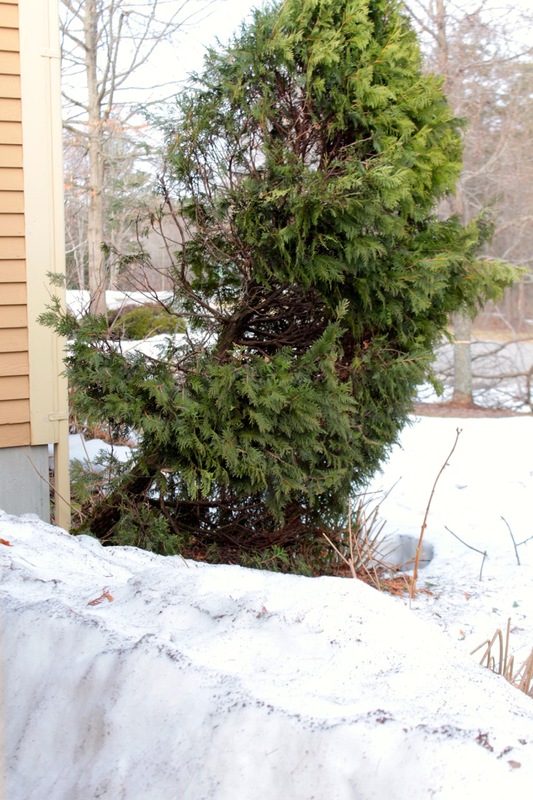 … along with several yews and arborvitae that either split, fell, leaned or all three. We can’t tell if this one can be saved yet. 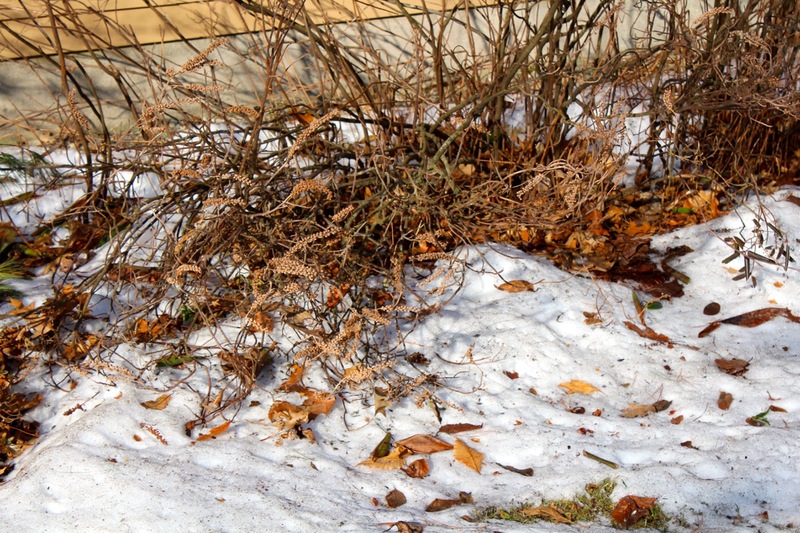 Buried deep within the iceberg is a border of viburnum, hydrangea, dwarf deutzia, dwarf clethra, upright holly (Steeds), soft touch holly (Ilex crenata), and more. Tips of our steeds holly are beginning to appear at the base of the iceberg below. I just hope the branches I see are from the bottom of the plant, not the top! Perhaps by next week with more of Chaucer’s sweet April showers and warmer winds with 60° temperatures in the forecast, we can evaluate the damage beneath. 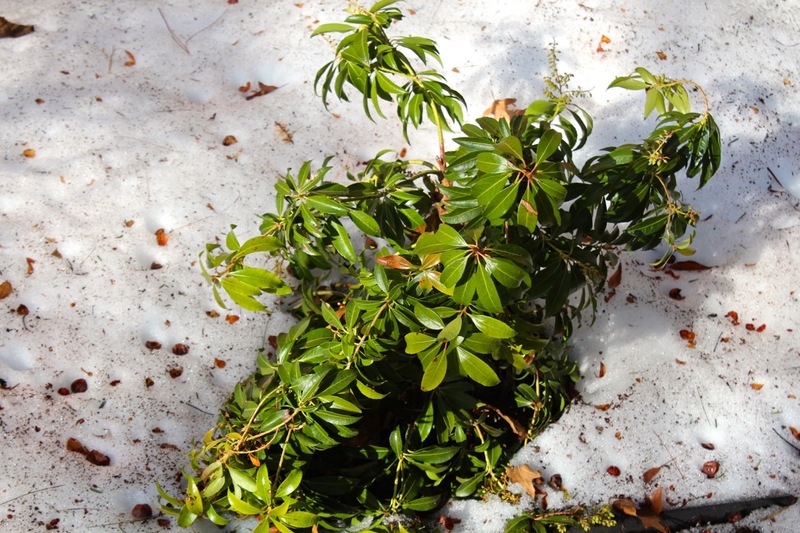 This entry was posted in New Hampshire and tagged Geoffrey Chaucer, New England, New Hampshire, Signs of Spring, Snow, spring, spring rain, Winter Plant Damage by Annie. Bookmark the permalink. Heartbreaking! 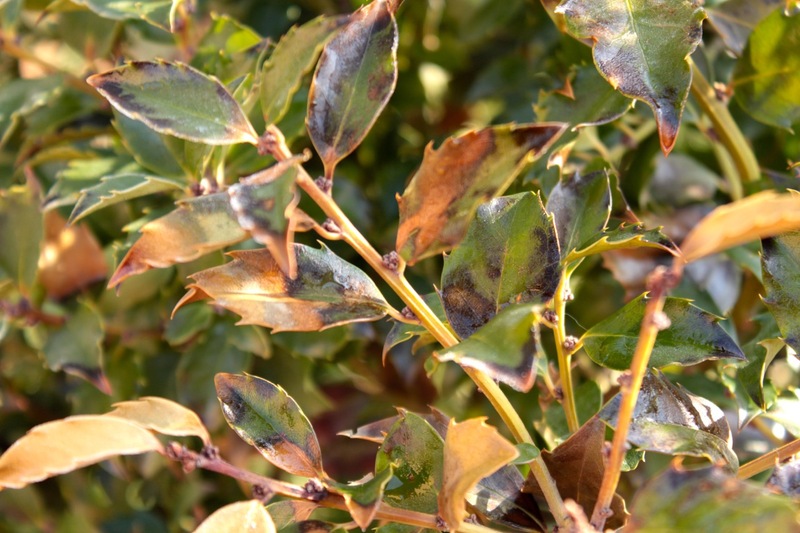 Will you root the bits and pieces of your boxwood? They seem to take off with a bit of rooting hormone and just stuck in the ground. 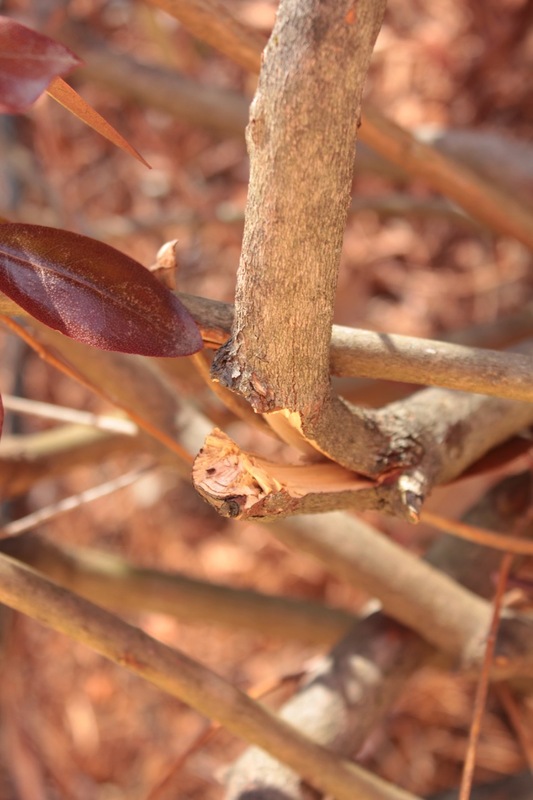 Mine grew from the previous winter’s breakage and will become pass-along plants this year. From lemons, we make lemonade. 60° sounds nice. Not here until the last ten days in April. At least almost all the snow disappeared. I’ve always been thrilled when the first snowflakes of the season fall and cover the landscape. But this year? I just want it gone! Spring is sprung the grass ain’t riz. I thought your group might be interested in this event. I wanted to E-mail it to you but can’t find a contact so am putting it on this post. I hope that is not inappropriate. Wild New Hampshire Day is coming up on 4/18 it is a fun event for kids and adults. Thanks for the alert and information about Wild New Hampshire Day…a fun-filled and educational event. Hope there’s s great turnout!